Fitness instructor Denise Druce teaches you how to belly dance in this workout program that will help you get fit and have fun doing it. Learn basic belly dance moves while building muscle tone in both your upper and lower body. 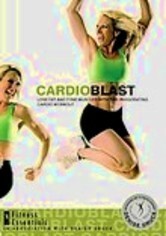 The routine is designed to work as a low-impact cardio program, so it's a great alternative to traditional aerobics.